A project-based therapeutic learning environment to support individual student needs. Visit us on Twitter or Instagram! Welcome Parents and Guardians! Please visit your Community Page. Learn about our district-wide curriculum and read grade-specific curriculum guides. Provide opportunities to expand emotional intelligence by integrating social emotional learning. Next Wave / Full Circle is a tight-knit school community for students who have experienced academic setbacks and benefit from a personalized approach to learning. In order to meet the needs of our students we emphasize: Trusting Relationships, Authentic Learning Experiences, Growth Mindset and Student Voice and Choice, as essential components in our daily work. Our students graduate with the skill set needed to adapt to challenges and lead meaningful and productive lives. We are an alternative, therapeutic school community that serves students in grades 6-12 who have different learning styles and needs. Each student has a three-person support team, including their guidance counselor, teacher counselor, and a mental health clinician. Students also receive regular counseling during the day. Our focus is on project-based learning and authentic, hands-on learning linked to courses that help students develop the leadership skills and confidence to successfully navigate their futures. Students work with materials tailored to their own academic and emotional needs, and they proceed at their own pace with guidance from their support team every step of the way. Our highly qualified teachers are dual-certified in regular education and special education. Our small class sizes and family-like environment allow teachers to get to know their students as individuals and accommodate personal learning styles and needs. Our students develop strong personal relationships with one another and with teachers and staff, which fosters participation in the school as a supportive, democratic community. Small class sizes to support individualized learning. Students earn a High School Diploma and follow the same rigorous core curriculum used throughout the Somerville Public Schools district. Opportunities are available for FREE college credits through dual enrollment with Bunker Hill Community College. 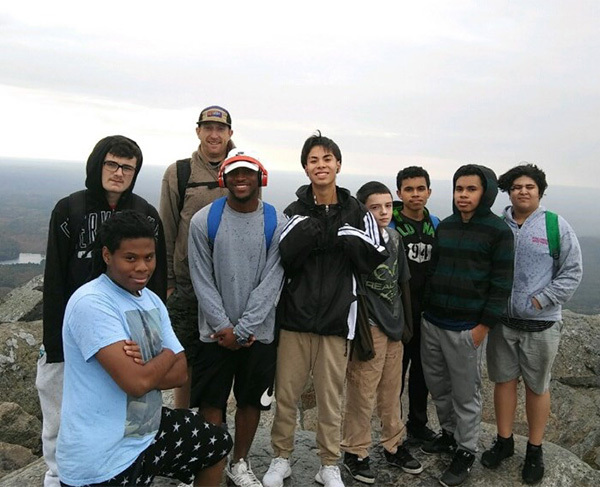 Exciting and engaging electives and field trips only available to NWFC students. Students may participate in any Somerville High School Career and Technical Education programs, athletic teams, and music and arts programming. Learn more about Middle Grades Intramural and Interscholastic Sports.